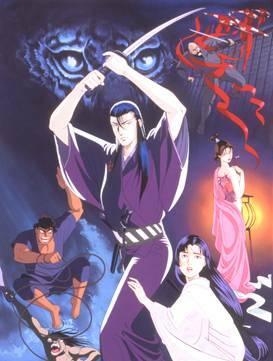 ©1990 TAKESHI NARUMI / PROMISE CO., TOEI VIDEO CO., LTD.
Shuranosuke, the master swordsman is hired by the Tokugawa Shogunate to rescue Princess Mayu from the clutches of a group of bandits, the Seki Ninjas. They will stop at nothing to prevent him from succeeding and call on the undead spirits of Seki Ninjas in Hell to assist them. Shuranosuke's skills are put to the ultimate test as he leaves a trail of blood and several limbs behind him in a desperate attempt to save the Princess.